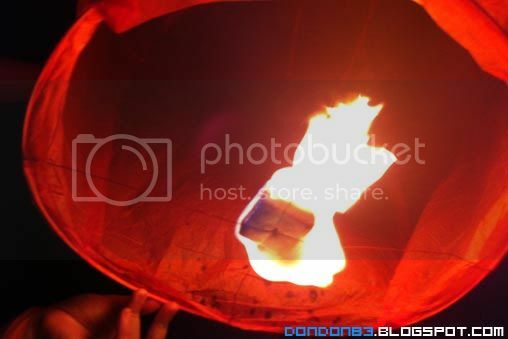 Sky Lantern during Chap Goh Meh. 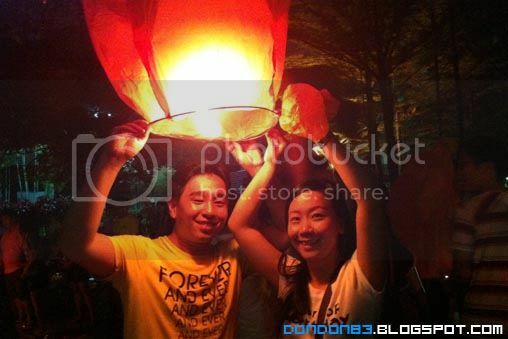 It's Chap Goh Meh today.. which mean the last day of Chinese New Year.. also known as Chinese Valentines day. 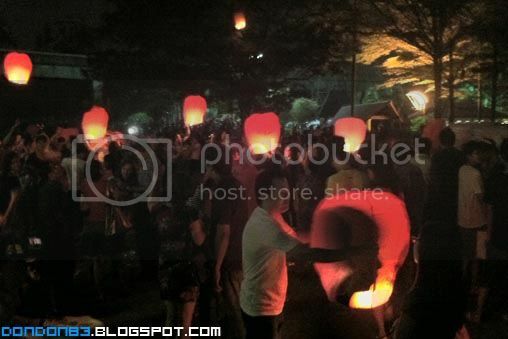 so we headed to a lake at Amcorp mall for Mandarin Orange Throwing Session. 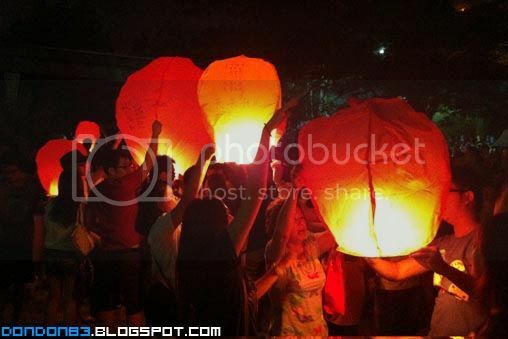 but this year... i find something event more interesting... the Sky Lantern!!! Omg!! 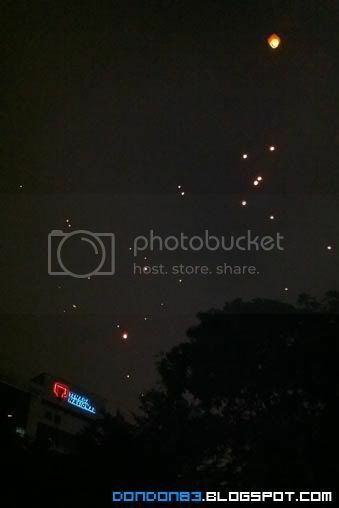 i though it was banned in Malaysia..i'm so excited when i saw there is lights in the mid air. regret didn't bring my camera along. 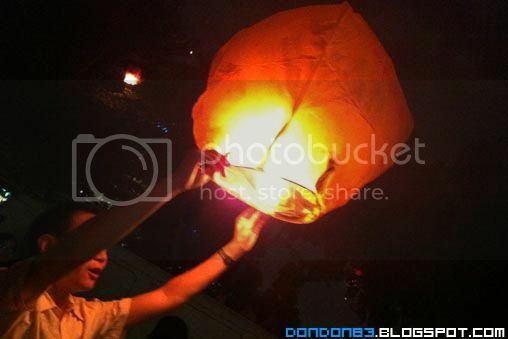 so i just took these with iphone.. the lantern light up the sky! 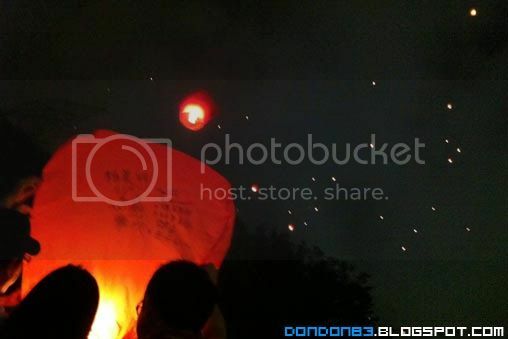 some sky lantern is huge! everybody seem excited about it. 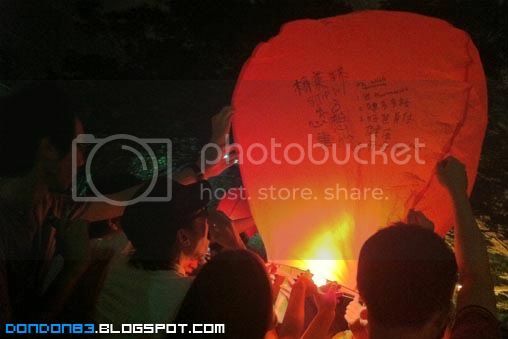 oh not to forget.. you can write down your wish, greeting on the sky lantern. then only let it rise up into the air. 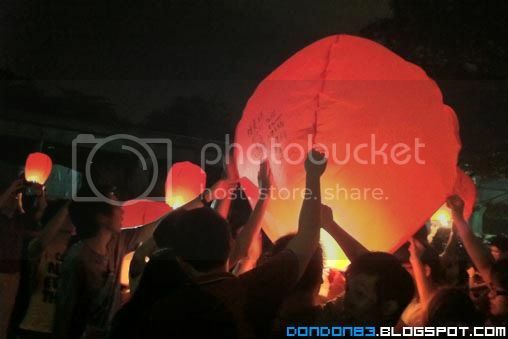 mean while.. shin lee is busy writing down her wish..
and this is the only secret behind the sky lantern.. fire that creates Hot Air.